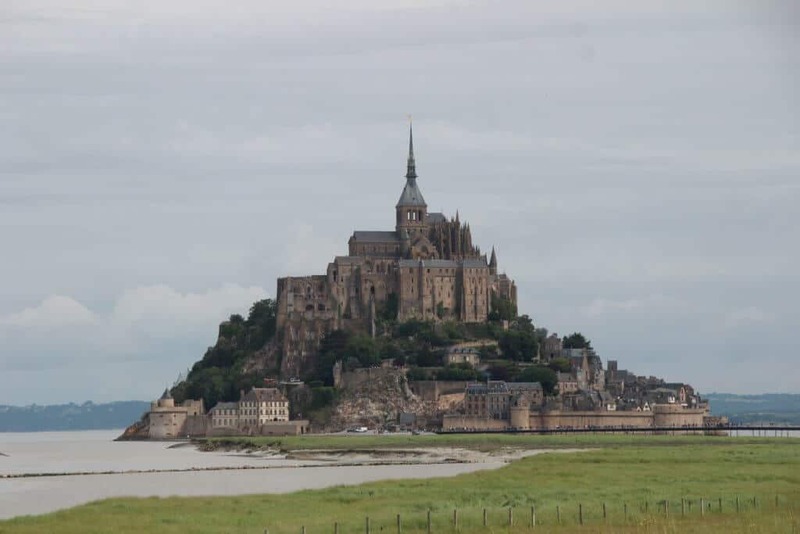 I feel in love with Mont Saint Michel when I was 16 on a high school trip with my French teacher over 15 years ago. When I knew we would be back in the area, I had to add a return visit to the list. 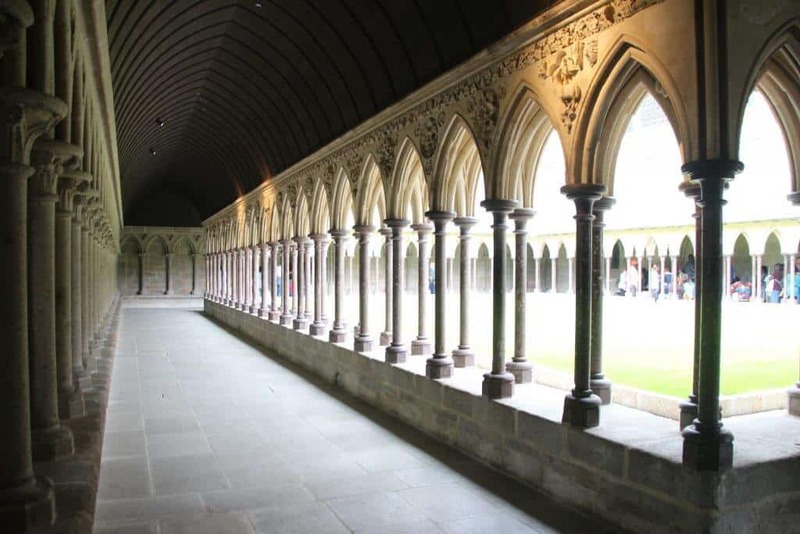 As a UNESCO World Heritage Site, it is a highlight in this area and easily accessible from the Normandy region. This area of France makes a car a must have! There is ample parking, but with any major tourist site, arriving early is best. Click HERE to get some great tips for parking your car. Depending on the time of year for your visit, arriving early to beat the crowds is always recommended. Parking area in the distance with walking paths towards transportation across the bridge. This is not a stroller friendly place to visit. Bring a carrier or take plenty of breaks with little ones that have outgrown carriers. It is mostly an uphill hike, but there are plenty of distractions and places to stop for a snack. We powered up to the top (thanks to my husband’s shoulders). We were in the area with our dog, but after reading up about the pet policy, we found a boarding home near our Airbnb. If you aren’t able to find any other options, there is a boarding area at the visitors center. Price: €8.30 inc-tax per day and per dog on a space available basis. Pets are allowed on the island, but not in the abbey. You will also have to walk to the island if you choose to bring your pet. No pets are allowed on the shuttle buses. Once you park, you’ll have a few different options to get across the bridge to the island itself. The easiest option is the free shuttle (10 minutes). They run frequently and have a few different stops. If you get on at the parking area, wait until the last stop across the bridge and directly in front of the entrance to the island. Another option, horsedrawn carriage. It’s a slower approach and it will cost an additional amount. 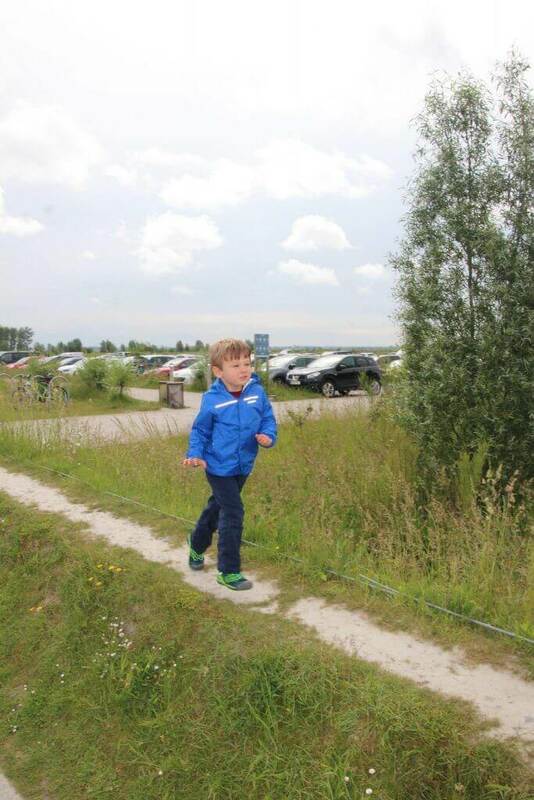 The last option is walking across the bridge. It will take about 40 minutes if you choose to walk. 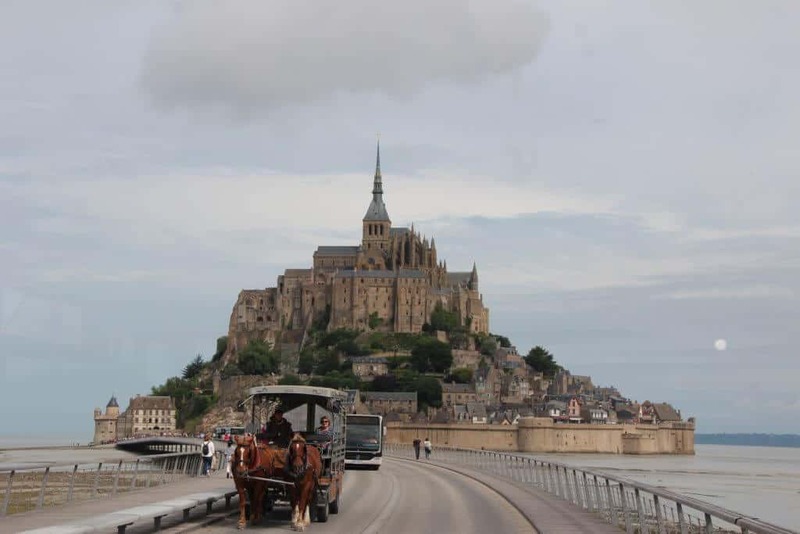 View of Mont Saint-Michel and the horse-drawn carriage carrying people from the abbey. You’ll enter the walls and quickly find bathrooms off to the left. After a short walk, you’ll pass under the gated entrance. From here, you’ll walk up the Grand Rue past shops and restaurants selling their wares. We knew the day would get busier as the day progressed, so we headed straight up to the top. 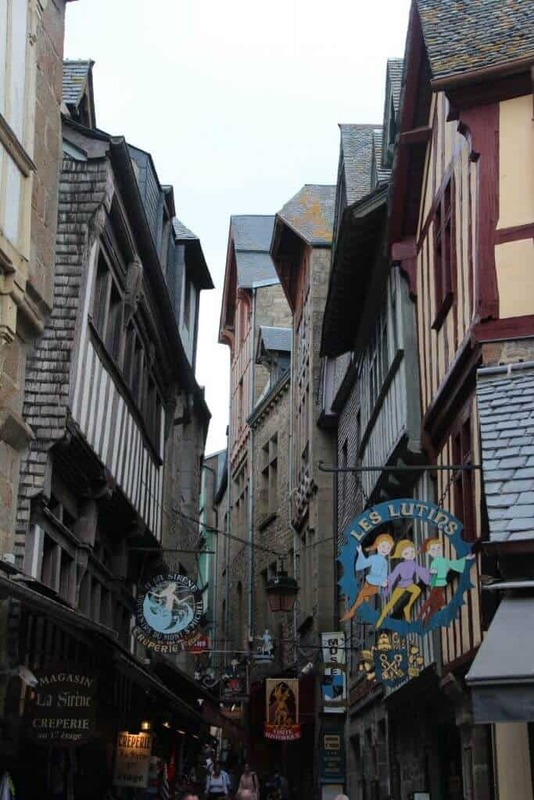 Climbing past the shops and restaurants on the way up to the abbey of Mont Saint-Michel. You don’t have to worry about navigating the island because it is basically one way up and one way down. There is a detour by the restrooms at the bottom of the island (before you pass the gates). It is supposed to be best for handicapped tourists who do not want to climb stairs. We missed this entrance on the way up, so it is a bit hidden. Once you get to the top, you’ll see a ticket office off to the right. We paid for the audio guide and began the tour. The audio guide was essential for getting a deeper understanding of the abbey and the island. It was a bit difficult to listen with a toddler to keep an eye on, but my husband and I took turns occupying him. The rooms are empty and little ones can get bored quickly. Bring some items to occupy them so that you can enjoy the surroundings. We also brought plenty of snacks that we enjoyed along the way. We did our best to keep the mess to a minimum. We lucked out with a beautiful day and the views were incredible. There were many tour groups headed into the mud flats. 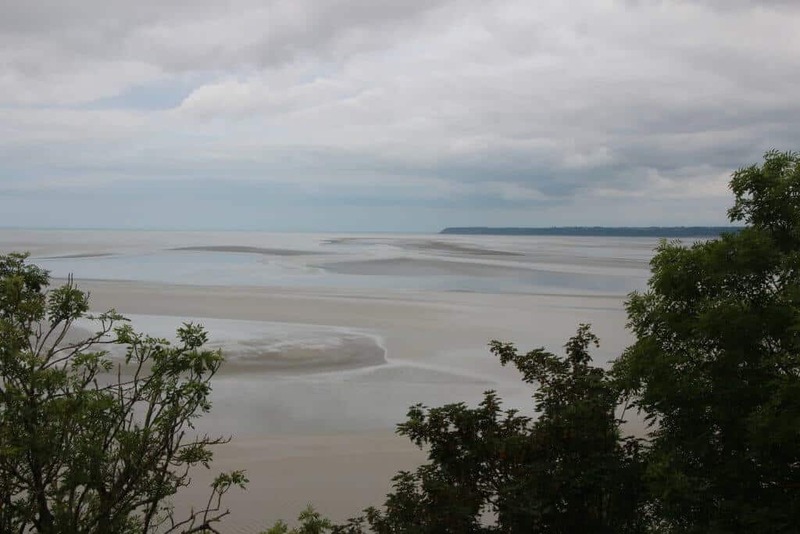 We were warned that the mud flats should only be explored with a tour guide. There are areas with quicksand-like pits. Views from the top of Mont Saint-Michel. You’ll follow a one-way path through the abbey and surrounding buildings. There are small rooms and multiple stairs, so I’d only suggest this visit for able-bodied travelers. It’s best to get off the island. there are plenty of restaurants and shops selling simple sandwiches, but they will come at a high cost. Just off the island (near the parking area) is a nice area with restaurant choices. You’ll get better food at much better prices. 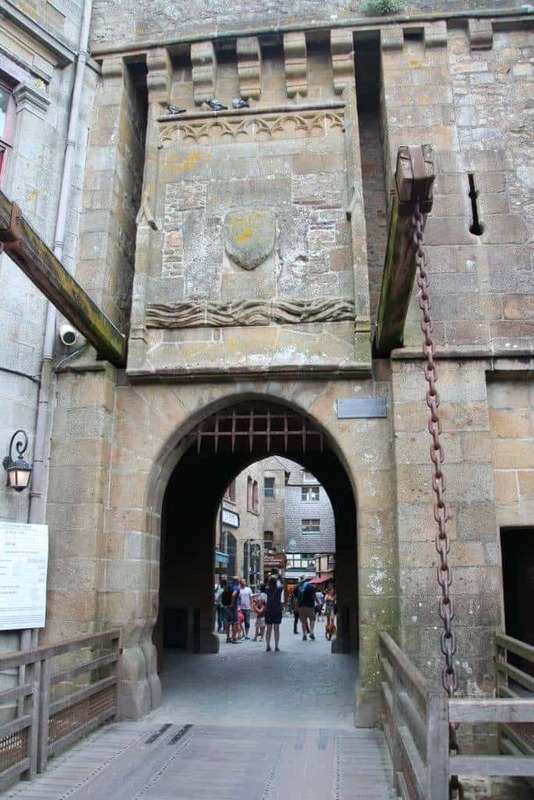 I highly recommend visiting Mont Saint Michel. It is a beautiful abbey and island. There is something incredibly unique about the tides that wash up to the island completely surrounding it in isolation. It isn’t the most kid-friendly of places to visit, but if you take a few favorite toys, go early in the day and make sure the children are well fed, you’ll be able to enjoy the sites. 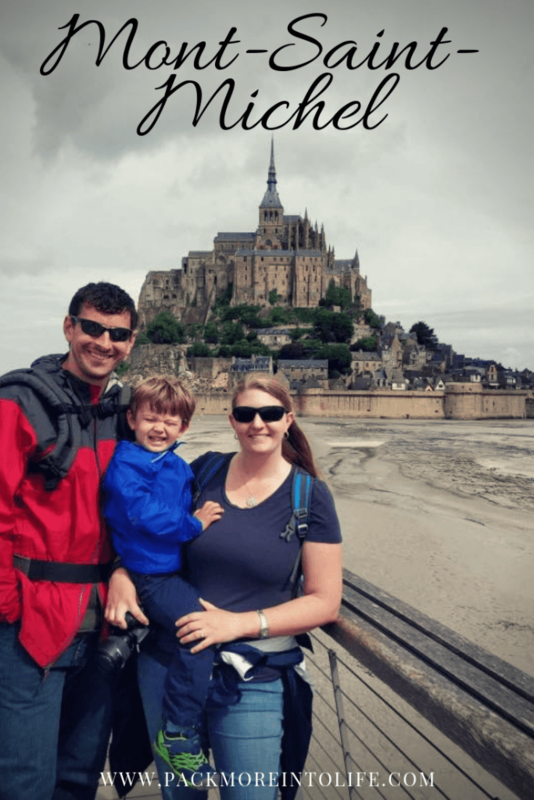 If you’ve enjoyed this guide, head back to our main post on Normandy with Kids! Or perhaps you want to see where else we’ve traveled in France and Europe, then check out our interactive map.